I have yellow teeth, there’s no beating around the bush. Years of neglect and tons of fizzy drinks, coffee, tea have taken their toll. I have recently got rid of the brown stains on my teeth and have now prepared them for a little re-spray. 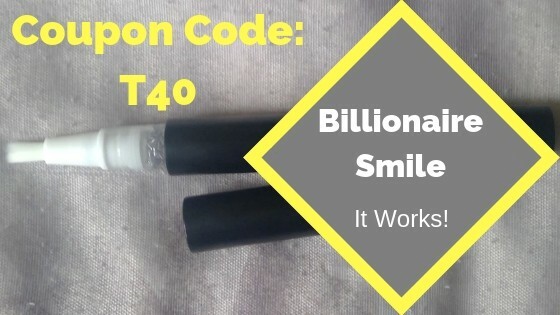 In this review we will be looking at the Billionaire Teeth Whitening Pen To see what results can be achieved with minimal effort. This particular company was chosen solely because of the 50% sale they were offering. I was on a budget and this came at the right time for me. It cost £30 ($50) which is very reasonable. They still have the 50% offer running and if your after a budget whitening treatment, this could be for you but please look at my results first before making a choice. I used this Whitening pen twice per day for 7 days to see if it could whiten teeth and how many shades lighter I could achieve. My Picture Results are below so if you want to save time please just scroll down to see what happened. But If you want to learn about this company first then take your time and read at your own pace. We will first look at what this treatment is and how it works. How Can A Pen Whiten Someones Teeth? That’s a great question and when I first looked into alternative whitening solutions the pen method was very intriguing. It’s basically a thin, plastic tube that houses a whitening gel and is small enough to place in a purse or pocket. Portable whitening pens supposedly help improve the colour of your teeth by removing leftover stains on each tooth’s surface. Often, these types of whitening products produce visible results immediately after your first round of use. Generally the active ingredients contained within whitening treatments are either hydrogen peroxide or Carbamide peroxide. Both of these substances work equally efficiently at whitening teeth. You might be wondering why these home teeth whitening kits most of the time contain carbamide peroxide and not hydrogen. The reason for this is hydrogen peroxide breaks down fast (30-60 mins) and the concentration is much higher than carbamide peroxide. Carbamide peroxide on the other hand releases half of it’s whitening power within the first 2 hours and then remains active for up to 6 additional hours. Most Home Teeth Whitening Kits contain Carbamide Peroxide because its safer to use by the average person and the concentration is lower which is why it is recommended that you use these types of whitening kits every day for the first week to achieve the same results as you would at the dentist. The active ingredient in the whitening pen is Carbamide Peroxide (18%) because as mentioned before it is safe to use unsupervised and is recommended by dentist’s all over the world. The 18% concentration is ideal because it has been studied far greater than hydrogen peroxide and has been used in the industry for approximately 25 years. I also felt reassured when I read that this product has been trialled and tested by 3 major governing bodies in Australia which gave me that extra piece of mind that it is 100% safe to use. The camera is not great but it’s all i had. I’m not sure if you can see it in the picture but my bottom teeth are alot more yellow than my top set. Especially the pre molars!. There was no difference when i applied the gel for the first time so i did not bother to take an after picture. 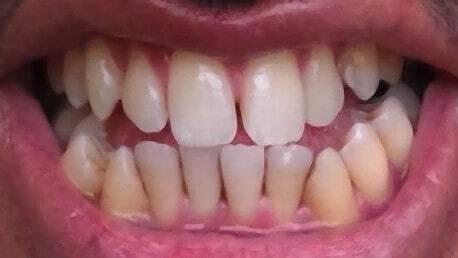 On day 3 I noticed my top front teeth were whiter than before but the major difference i saw was with the 3 bottom front teeth. You can see in the picture that they are starting to match the same shade as the top teeth. Clearly the treatment is working. There wasn’t much difference between day 3 and day 7 but there is a definite change in my bottom 2 teeth which have lightened 1 shade and now match my upper teeth. My premolars are quite stubborn and will need a longer time to get the same results. I will be using the pen until it is completely finished and if the colour has still not changed then i will be getting the more advanced whitening system. But so far i have seen a reasonable amount of success and pretty sure if you have some slight stains, this Whitening pen will get the job done in a decent amount of time! Use Coupon Code: “T40” To Get An Instant Discount! It seems pretty straight forward to apply but the first time I used it, it was quite tricky to get an even coat of gel on all my teeth. The main reason being that I turned the base of the whitening pen too much and a load of gel popped out and spilled unevenly on my teeth. The other thing was keeping my lips away from the teeth when applying the Carbamide gel because it says it can cause some discomfort. But after a few tries I mastered it and now it is quite easy to use although the waiting time of 10 minutes can seem more like 30 and the saliva production can be annoying as it tends to wash off some gel covering that’s on the teeth. 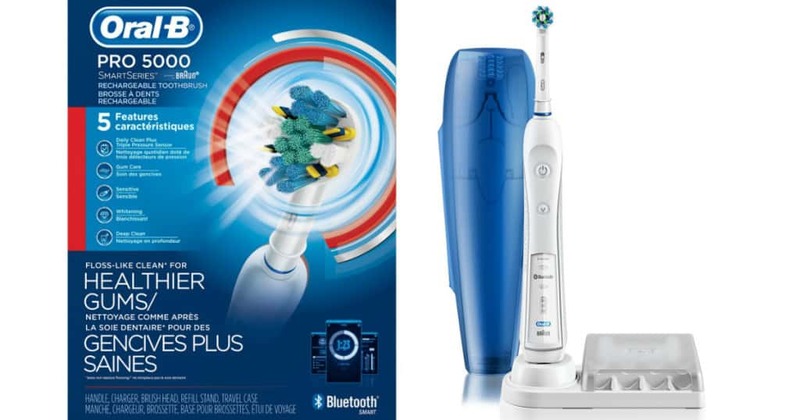 Get the Billionaire Teeth Whitening pen and open the cap revealing the brush head. Do this twice per day for 7 days and see how your smile looks by the end of it. Hopefully your yellow stains should start to disappear like mine did! The whitening pen’s biggest positive is its size. It’s a neat little pocket pen and you can travel with it anywhere you go especially if you’re thinking of going on holiday. 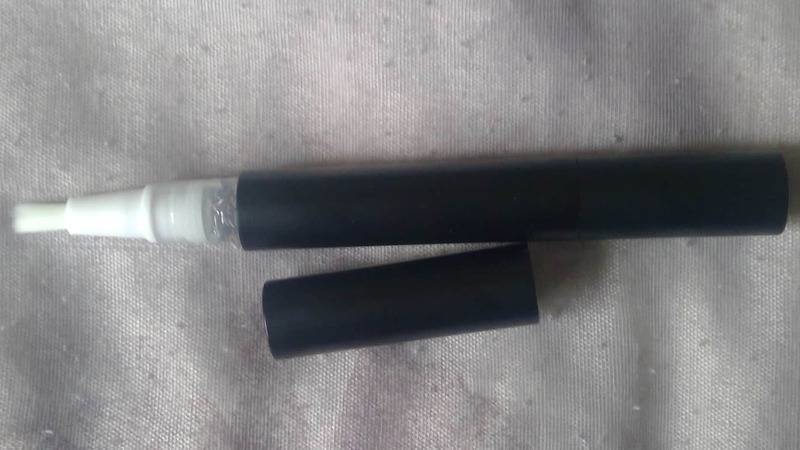 Unlike the full whitening systems, this pen is so simple to use because all you have to do is open the lid and twist the bottom and the gel will start dispensing. It only takes 15 minutes in total to get the job done. That alone will convince a lot of people to try it out. The Ingredients contained within the pen are actually very gentle on the teeth and actually work. Nowadays there are so many companies out there trying to sell their whitening solutions but a lot of the time they only contain sodium bicarbonate and although it does help with removing light stains, it will not give you drastic changes that you are after. The active ingredient is Carbamide Peroxide (the same ingredient used by Dentists in Australia, UK, and USA). The scientists have also combined additional unique binding agents with the formulation. This means faster and longer lasting results. 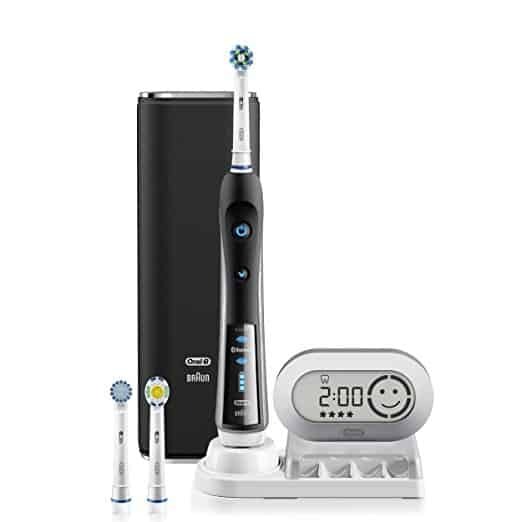 The price is quite reasonable because they stock the kits in Dental clinics across Australia for an inflated price. By ordering online you will pay the lowest price available. It’s currently priced at £39.95 ($52.49) but if you buy now you will get 50% off making it only £19.97 ($26.24), NOW that is Ridiculously cheap for such a high quality whitening product! Unlike the full whitening system, the pen does not come with a desensitising gel which is a bit of a shame. Although I didn’t notice any sensitivity other people do have an issue and I would’ve thought they could include it with the whitening pen. The packaging is a bit flimsy and after using it for 7 days the cardboard packaging just gave way, although not a massive issue it is quite damaging to the brand. I mean its called billionaire teeth whitening but not a lot of money has been invested in the packaging. The product itself is created in Australia but they ship worldwide and its quite easy to order. I am currently living in the United Kingdom and received my pen in just over a week which is quite reasonable considering Australia is on the other side of the planet from me! It’s only available online because they can cut costs and hence offer us the best price. To Get Your Whitening Pen With A Massive 50% Off Please Head On Over To The Official Website! That’s right, currently there is a big promotion which gives you 50% off anything you purchase from their site which makes it a good time to buy. I was looking for a teeth whitening product that was not too expensive but at the same time had the same high quality ingredients found in dental clinics. After some searching I decided to buy The Billionaire Teeth Whitening Pen and used it for 7 days straight. 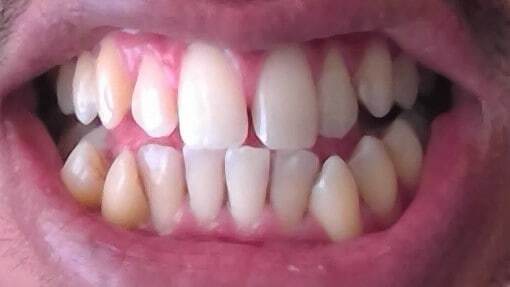 There were some changes that I noticed with my upper teeth which gave me a lot of confidence that this treatment was working but my bottom teeth are a few shades darker and not a lot of difference was noticed, only a slight variation in 7 days. I will be continuing to use this pen until it runs out and hopefully by that time it will have lightened my bottom teeth at least 2 shades (fingers crossed). Really there’e no risk in buying the whitening pen because you get a 30-day money back guarantee so you can be safe in the knowledge that if it bombs on you, the money will be returned to you safely. If you have light stains then this product is definitely for you and will get you that white smile you deserve. For me if the bottom teeth do not get whiter after using this product, I will be buying the complete system consisting of the mouth guards and desensitising gel. Q. Are the ingredients safe for my teeth? A. Absolutely, the product has gone under strict testing and has been approved by 3 major Australian governing bodies: FDA, TGA, and ACCC. Q. Who Should Get Their teeth whitened? Q. How long do teeth whitening results last? A. Depending on your oral hygiene and lifestyle habits, the longevity of teeth whitening procedures can vary widely. However, we recommend whitening every 2-4 weeks to maintain your billionaire smile. Q. What sort of results should I expect? A. Depending on your lifestyle choices, as well as which whitening product you use and how you use it, you can expect to see brighter teeth in the first 7 days, and up to 12 shades difference in just 2 – 3 months. Q. Is There A Coupon Code I Can Use? Hopefully this review has made your decision easier on trying out the whitening pen, I’m certain it will give you the results you are after. If you have any other questions or concerns not raised in this review, please leave a comment below and we will get back to you ASAP. 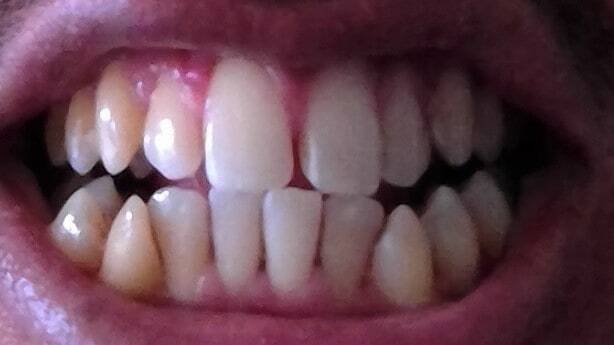 i have a problem with my teeth, they are getting yellow so easily, so i’m really looking for a whitener. But I’m not confident about this pen honestly after reading your post, so I really think I will leave it aside, because it doesn’t seem to have too much effect. Thanks for sharing your concern about this product. I don’t know what gave you little confidence in this whitening treatment, maybe the pictures i took are not good enough quality which does not show the clear results. My teeth could use a little whitening, or a lot. Seems like a good deal with the 50% off but still not sure if I would be able to get it. It is small and compact and seems easy to use. The fact that it is gentle on teeth is a really good thing, teeth can be so sensitive. 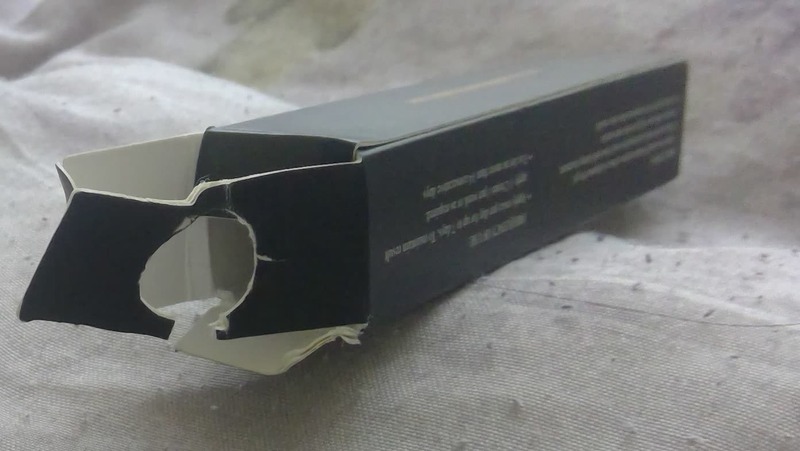 They should make a little case for it so that you do not have a little box that ends up breaking. Hi Teeth Man (nice name). I’m very happy to have found this article. Thanks for sharing this awesome review and your take regarding “the Billionaire Teeth Whitening Pen” and showing us if it is actually working. Well, from this review, I really learnt alot about Teeth Whitening Pen, how it works and the contents. I think the results from your photos here are just amazing. This is definitely the product to be considered by anyone looking for tooth whitening pen and are on budget. Thanks for sharing this review. It’s slow progress but it is working. 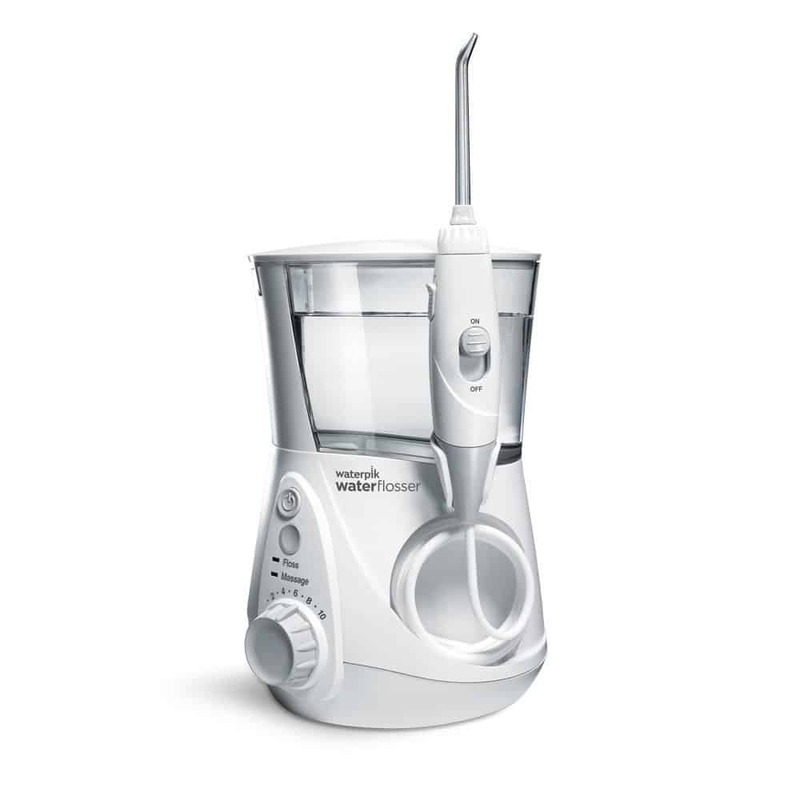 I have been using it for 7 days and the bottom 3 teeth have become lighter but my pre molars are very stubborn. I am going to use the product until it has finished and see if my whiteness has improved. If not then i will be getting the complete Billionaire teeth whitening system with mouth guards and LED blue light and see how that goes. What convinced me to buy the whitening pen in the first place was the 50% store wide offer they currently have going on and the fact that it has been approved by 3 big governing bodies in Australia. 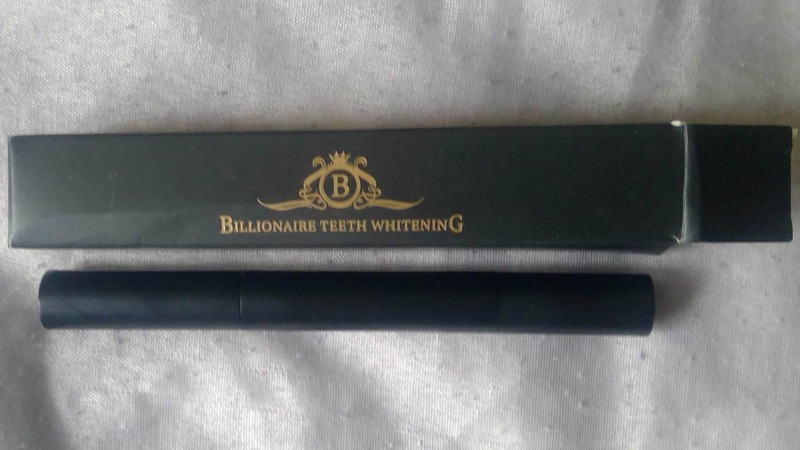 Oh, I really need this Billionaire teeth whitening pen. It is so much cheaper than getting your teeth whitened at the dentist. I have really bad teeth because of all the coffee and I smoke as well, but I brush my teeth twice a day at least and I still really need to whiten my teeth. I was thinking of getting my teeth bleached but had heard that it could cause my gums a few problems so I chickened out, but only $50 for a teeth whitening pen is an absolute bargain. I used to use this certain smokers teeth whitening toothpaste but it was a complete waste of time and money. I’m also from the UK, so I was wondering if there was a shipping charge on top of the price you mentioned? Coffee and Smoking! not a good combination if you want to maintain white teeth. Where did you hear that bleaching could cause gum problems. Was it a dentist? The main thing to worry about with teeth whitening treatments is the sensitivity they can cause, everything else will be okay. great, carbamine peroxide is proven to be active in teeth whitening. However, it is much an innovative idea to have develop a pen filled with this material. At 18% concentration which is the recommended level, it good, as it needs no supervision or any professional guidance. Well, your result is quite impressive, your teeth shades differ and improves with the length of days after use. It’s quite cheap at the minute with the 50% discount they have on at the moment. Give it a try yourself if you have stained teeth, i could work for you too!